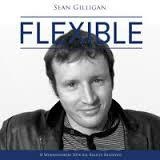 At 13 pages (hardcopy) and 43 minutes (audiobook) Flexible is not exactly a novel. Flexible is my collective learning; summarised and distilled in to something bite-size, which I hope both startups and business-people can enjoy. I started writing the book more than 2 years ago, and only recently decided the time was right to create an audio version. Lewis Dunn does a fantastic job of the audio, and backs up the phrase “it’s not what you say, but how you say it”! Self-education through audiobooks has most certainly helped grow Webanywhere as a bootstrapped business internationally. Flexible contains the knowledge to allow you to do the same, providing you apply it. Being a big fan of audiobooks and listening to them on planes, I thought it would be good to do my own. Some customers who have listened to the book said “How do you get the time?” My answer is simple: if you work on something a little bit each day, and as you think of something, write it down, enormous and overbearing tasks can be broken down into smaller chunks. It’s called “eating that elephant”. To eat an elephant in one go is impossible, but if you divide the elephant into small chunks it becomes possible. Above all, the reason why I released Flexible is because Webanywhere wants to be the most Fun, Flexible Learning company in the world. Hopefully the tone of the book and the narration gives a light sense of humour, and the duration of the book means that lots of people will listen. Getting through an 8-hour audiobook is quite a battle, 43 minutes on the other hand is much more manageable. 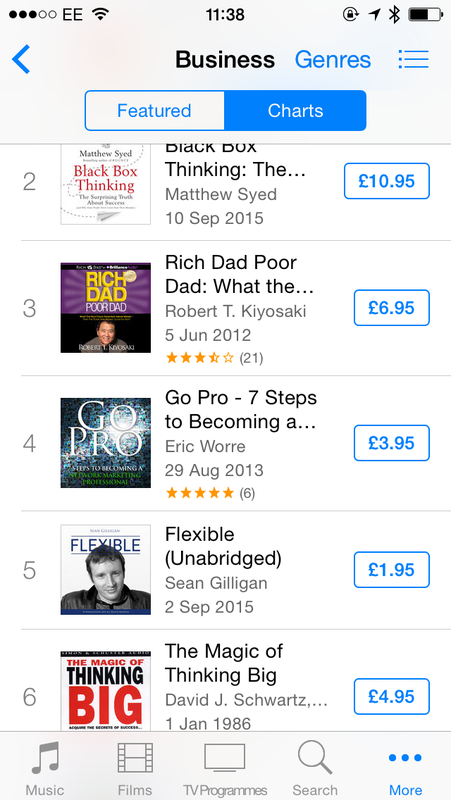 At £1.95 it’s not surprising to see my book rise to the top of the charts, as I still believe audiobooks are not mass market in terms of consumer habits. If my book has dropped off since, then it’s possibly because you can get the book for free on SoundCloud. After all, as the book says, it’s better to be a giver than a taker. It’s decisions like this which will make Webanywhere the most Fun, Flexible Learning company in the world! 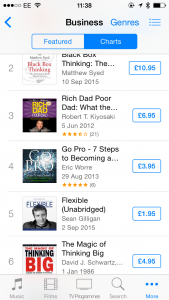 This entry was posted in business book, flexibility, Flexible by Sean Gilligan and tagged audiobook, bootstrapping, business advice, Flexible by Sean Gilligan on September 21, 2015 by Sean Gilligan. Before I set up Webanywhere in 2003 I spent 5 years in the world of work following my graduation from the University of York. My first interview involved an elevator pitch. I arrived on Mark Lane just off the Headrow in Leeds for an interview with Ian Holding, the Sports Director of TEAMtalk.com, one of the top 10 websites in the UK at the time. Ian had just bought a sandwich and we got chatting in the lift. Thankfully my first impressions must have been favourable and my name dropping of Andrew Gilligan (my cousin – a famous journalist) must have added some credibility – I had landed a temporary job. The role started out with me working just a few days a week, which soon led to full-time employment. For six months I had no contract and worked for £5 an hour until just after Christmas, when I landed a full time contract. 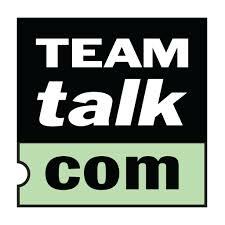 Whilst TEAMtalk had millions of readers, it was unable to monetise its content and after three years of service I was made redundant. I was the second person to leave the business after the HR manager. Whilst TEAMtalk had grown its staff from 50 to 500 and moved to new flashy offices in Wellington Street, it had failed to generate sufficient revenues. It was acquired firstly by UK Betting plc and then lately Sky. Just this week the TEAMtalk office in Leeds has now been shut down making it the end of an era. I still have a lot of friends from the TEAMtalk days and lots of web based skills were learnt on TEAMtalk’s watch. My next role was with the Caudwell Group in Stoke-on-Trent. Entrepreneur John Caudwell had built up his telecoms empire to include Phones4u and Singlepoint. I was employed as a developer in a start up within Singlepoint called Wizcom which specialised in mobile commerce. John Caudwell wisely sold his business to a Private Equity group a few years ago for £1.5 billion. 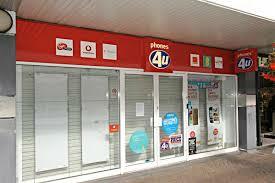 If you’ve read the news in the last couple of month you will have seen about the closure of Phones4u. The large telecoms players were no longer prepared to do business with them which ultimately led to Phones4u’s demise and the job losses which followed. Egg Bank was my last tenure as an employee. I was hired as a contractor for the Prudential-owned internet bank based in Derby. The lucrative contract allowed me to save the cash to start my business Webanywhere and to follow my dream. Again, not too many years ago, Egg was split and sold off. Once a darling of the internet age, Egg had failed to adapt and its credit card business was sold to BarclayCard while the Yorkshire Building Society acquired Egg’s savings arm. So what does this mean? It means that all three of the businesses which I used to work for as a young professional have since folded. TEAMtalk had failed to monetise it’s readership. Phones4u had been too reliant on a small number of large mobile phone operators and Egg had failed to adapt and change to a heavily competitive credit card market. Businesses are indeed fragile, and the job of the leader is to challenge your staff to change and adapt. If a business does not serve its customers and their needs then you have no business. Morrison’s (and their lack of reaction to online shopping until recently) is a good recent example of how losing touch with customers can negatively impact a business. Getting back to basics and listening to your customers is what’s important. Webanywhere’s core value is flexibility and we co-create our software with our customers to ensure we don’t fall foul of these mistakes. Businesses which get complacent, greedy, arrogant or lack energy will fail. We must be flexible to navigate head winds and avoid some of the dangerous paths ahead. Debt and leverage make a business fragile. Webanywhere does not have any debt and is not geared up. Optionality leads to anti-fragility and with Webanywhere operating in three locations this helps us take risk out of our business. Top-down management-planning leads to fragility, which is why we prefer bottom-up management. Finally, Webanywhere has a large customer base of 4,000 customers, so rather than relying on a few large ones we can spread our risk around. Antifragile: Things That Gain from Disorder by Nassim Nicholas Taleb, the bestselling author of The Black Swan and one of the foremost thinkers of our time, reveals how to thrive in an uncertain world. This entry was posted in change management, flexibility, listen to customers and tagged fragility of business on April 13, 2015 by Sean Gilligan.